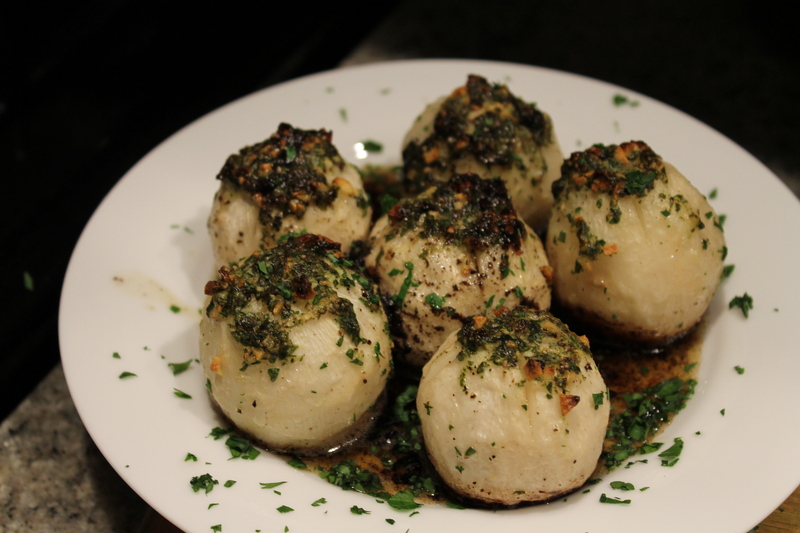 So I know our last posts were all about moderation… and I really did think about a more healthy route I could take with these wintery root veggies… but unfortunately I’ve destroyed any sort of nutritional value to be gained by eating these turnips with the massive quantity of butter I’ve covered them with. But whatever, life is short. Blanch the turnips in boiling water for three minutes, remove immediately to an ice bath. 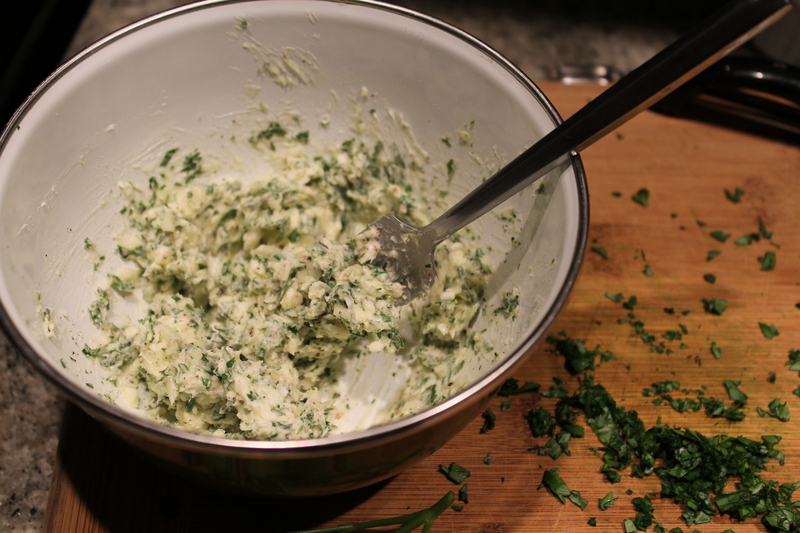 Mix the soft butter with the garlic, herbs and s+p, reserving about a tablespoon of parsley for garnish. 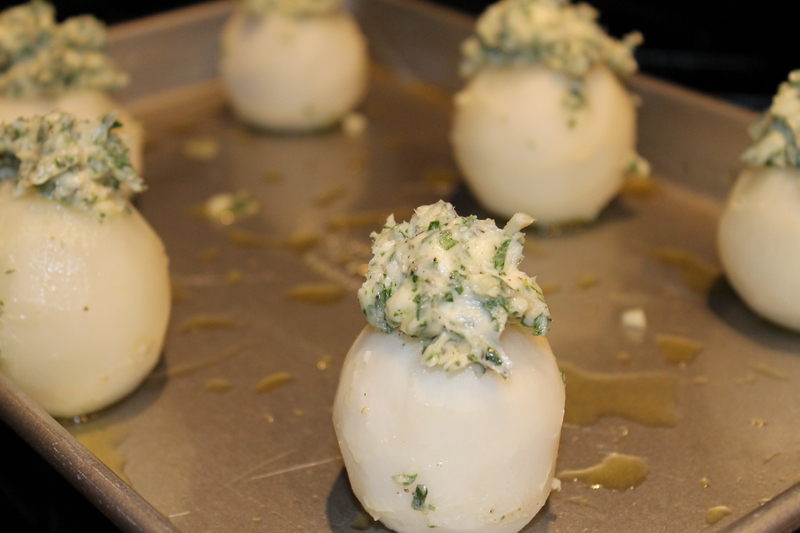 Score the tops of each turnip in a “+” pattern, and cover each one with the herb butter — try to get as much as possible inside the “+” on top. Put them on a greased sheet pan, and roast for about 30 minutes or until slightly browned and softened. 5 minutes before you remove them, drizzle the lemon juice over the top. Serve alongside your favorite protein and enjoy!